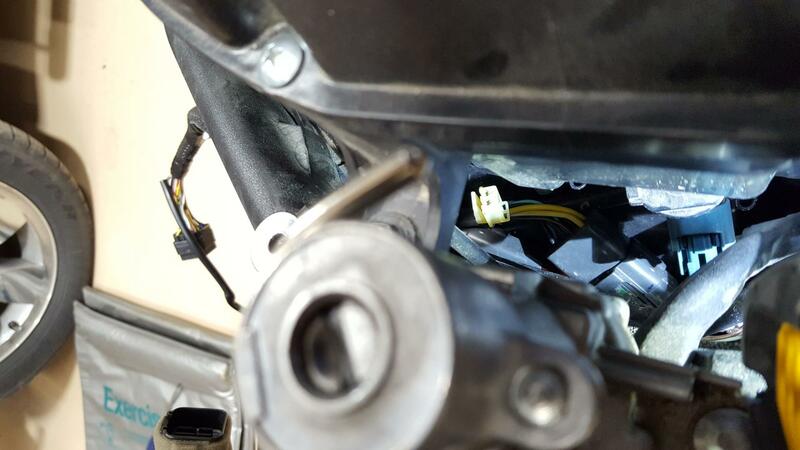 I have GSXS 1000f 2017 model, I saw on the youtube and also on this forum that for the Naked version there is a spare power socket available under the headlight. could someone please let me know the location of the similar plug on the fairing version? for GSXS 1000F? any pictures would be a great help. Yep, lift the tank. From above, look in the right side recess between the frame and the front of the airbox just a few inches to the right of the ignition switch (but below it). FYI it is tied down so it is difficult to connect anything to it as it has very little free play (i.e. you can't grab it and pull it a few inches toward you to make it easier to connect). If you want, you can search for my thread on installing the EasternBeaver 4CS kit. I reference a video I made where I talk about connecting to it. You'll also need to check if your heated grips have the right kind of male connector. Thanks a lot, nice video, very informative, could you please confirm , you used this kit? I also need 3-4 connections for Fog lamp, heated grips and charger socket. I ride all year, except white roads. I indeed used the 4CS kit (and it's still installed on my F model). According to my contact at EasternBeaver they have modified the kit per my suggestions in the video. I think it should do what you want. It may be possible to run both your heated grips and the charger (USB charger?) from the front signal wire. It can provide a maximum of 10amps. The only reason I suggest that is because the signal wire is right up front where you would need it anyway. You would then need to branch off to power both the grips and the charger from there (a crimper may come in handy so you can complete that wiring yourself). For the fog lights you could use one of the switched connectors. Note that EasternBeaver sells many of the necessary connectors (I bought all the ones I needed there).